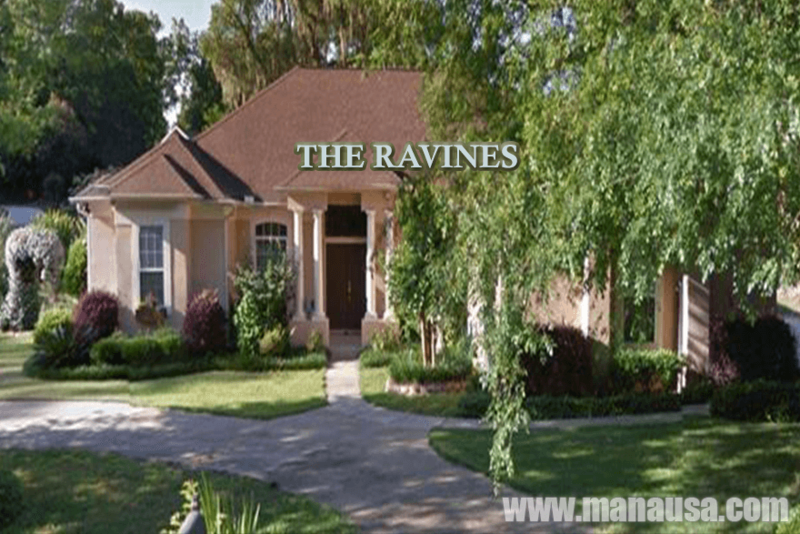 The Ravines is a Northeast Tallahassee neighborhood situated along the Thomasville Road corridor on the western edge of Killearn Estates. With just under 90 homes, The Ravines isn't large but it has plenty to offer for today's homebuyers. Considering that the Ravines sits in the heart of the most prized real estate in Tallahassee, it is a bit surprising that there have only been 3 homes sold here since the beginning of 2014. By anybody's standard, that is very little turnover in a two and a half year period. We have to be a bit concerned that pent-up supply could start being an issue in The Ravines. While this is not a "boom neighborhood" born during the expansion of the housing market early last decade, we have seen the annual number of home sales decline by more than 50% for better than ten years. Children in the area attending public schools are zoned for Gilchrist Elementary School, Montford Middle School, and Lincoln High School. Our home sales report for The Ravines includes graphs of the average home prices, home values, and home sizes, as well as a map of the current listings in the Tallahassee MLS and all past closed home sales going back to 1991. It is important to note that the narrative contained below is for sales through December for all previous years, and through the fourth week of May in 2016. The graphs and the closed sales table will be continuously updated into the future (meaning bookmark this page if you always want to know the current status of homes in The Ravines). Low liquidity (very few home sales) means that our trend graphs are less valuable today than they were back in the 1990s. You can observe a relative smooth blue trend line for average home prices in the graph below (on the far left side), but the opposite is true on the right. To say that average home prices in The Ravines have risen over the past two years would be invalid, as both years contain merely one home sale each. Things are definitely heating up in The Ravines in 2016. Joe Manausa Real Estate was hired to market a home for sale last month and we sold it in a matter of days. Currently, there are four homes for sale in The Ravines and two are already under contract. If I had to forecast it now, I would say that this year will see more homes sold in The Ravines than any year prior going back more than 10 years. Average home values in The Ravines are (like average home prices shown above) difficult to identify with our trending graph below due to low liquidity. Overall, values will follow similar growth rates as we are seeing in the surrounding neighborhoods (Shannon Forest, Killearn Estates, Foxcroft, Royal Oaks, etc.). The average value of a home sold in The Ravines in 2016 is better than $130 per square foot. The average home size sold in The Ravines typically falls in a range of 2,100 to 2,700 square feet, and this year is no different. I suspect we'll see just about every listing priced correctly sell here this year, so home size will only be a factor of which homeowners decide to sell. The 1 home sold thus far in 2016 was 2,340 square feet. The following list of homes are the most recent listings in The Ravines. The following list contains all home sales in The Ravines going back to 1991. I hope you enjoyed our June 2016 update on home sales in The Ravines, please feel free to drop me a note if you have questions not covered in this report.